Families of those held unjustly in immigration detention didn’t get to celebrate ‘Family Day’ yesterday. In support of these families and those in detention, we projected a massive image on to the border control offices at 74 Victoria Street where decisions to detain and deport migrants are made every day. 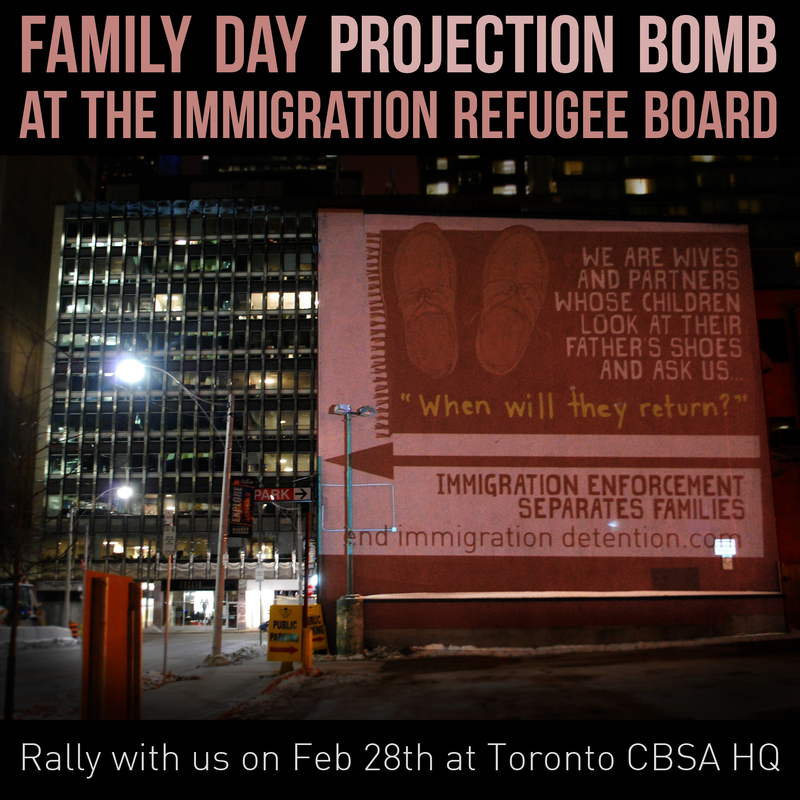 Make sure to join us on Feb 28 Rally at Canada Border Services Agency Headquarters and read the letter that inspired this action. 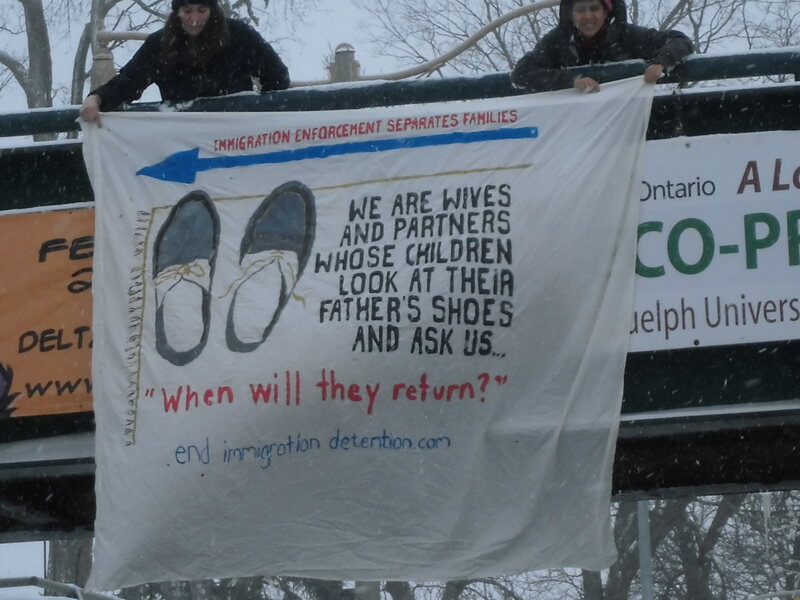 Scroll below for Banner Drop in Guelph.